For the holidays, I spent a couple of days in the north Georgia mountains with my parents. 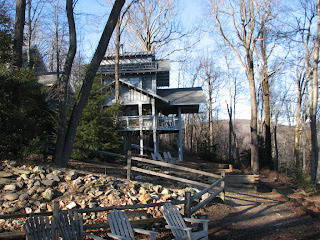 We enjoyed a relaxing time at the Len Foot Hike Inn close to the start of the Appalachian trail. On the equinox as the sun rises, it shines directly though the Inn's solar calendar. 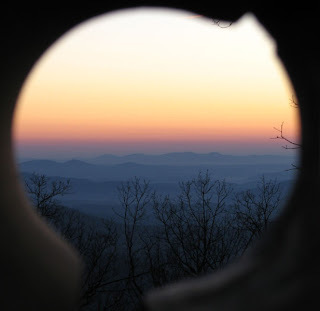 Since we were visiting close to the solstice, we had to make do with this view of the sunrise.